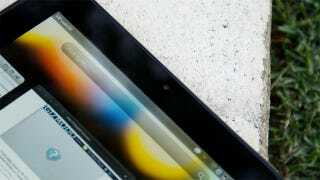 HP killed its webOS hardware division and its TouchPad tablet is dead in the water. It's possible HP may refund retailers like Best Buy for unsold inventory and amass a stockpile of tablets in the process. This is boring and uninspired, but likely the easiest way to get rid of those excess TouchPads. Reminder to HP, give them away without a service or support package. Otherwise, they will come back to haunt you. That'd be a fancy, schmancy way to tell time now wouldn't it. Everyone loves to buy a photoframe for a relative during the holiday shopping season. They are like the fruitcake of the 21st century. So why not convert the lovely tablet into a lovely photoframe. Who needs expensive surveillance cameras when you have 300,000 Touchpads lying around. Plug them in, mount them up and start spying on employees. 5. Employee end of the year bonuses! Don't give out extra money as a bonus for employees' hard work, give your employees a Touchpad instead. Forget counseling, let employees vent their anger and frustration by tossing TouchPads into a fire and watching them burn. 3. Go viral by creatively destroying 100 of them at a time and put the videos on YouTube. Drop them from a plane, crush them with a truck, or shoot them with a gun. The sky's the limit when you have so many of them to destroy. The Touchpad is flat, well-balanced and servers can use them to play cheerful holiday music. Win, win and win. Last but not least, HP can encourage employees, their families and friends to Gazelle the tablets and split the proceeds. If you have any suggestions for HP (or really anyone with a TouchPad at this point), leave your ideas in the comments.